It will be all hands on deck this Saturday as our Warriors host 3 games vs our across river friends the Gatineau Vikings Tykes, Mosquitos and Pee Wees. To finish up the big day, our Bantams will be facing the always tough Gloucester South Raiders. The Warriors Canteen Team will be out in full force for the day and please show your support of their hard work. It’s well deserved and is an important fundraiser for our club annually. 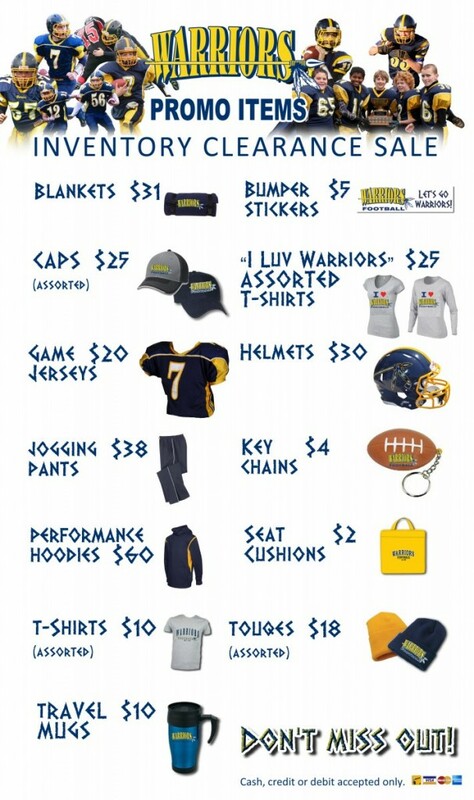 Our Canteen Team will also have order forms for our ONE-DAY-ONLY GAME DAY PROMO ITEM PRE-ORDER. We’ll be offering Hooded Sweat Shirts and Performance T-Shirts for Pre-Order for $35. Plus sizing options are also available as are multiple personalisation options for a nominal additional fee. 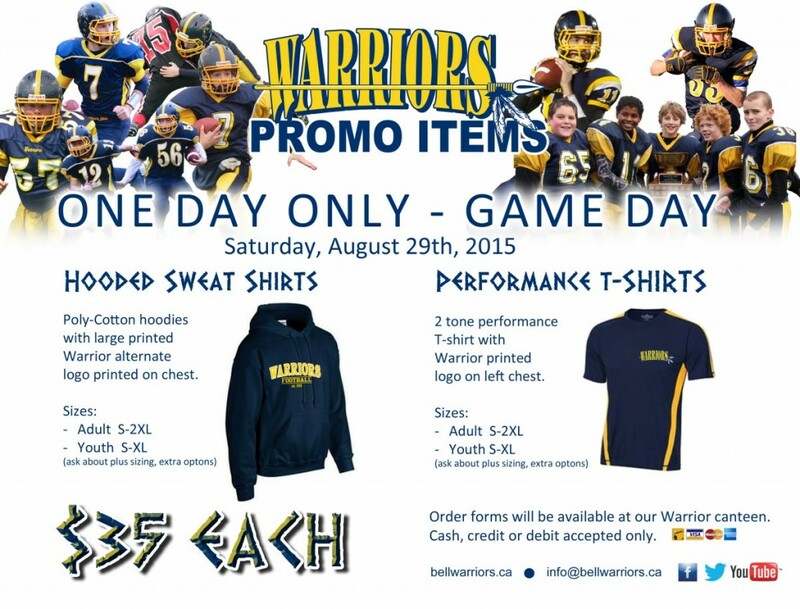 Want some special Warrior Wear for your special player of Warrior supporter? Don’t Miss Out! UNREAL – Stolen Game Pants Returned!